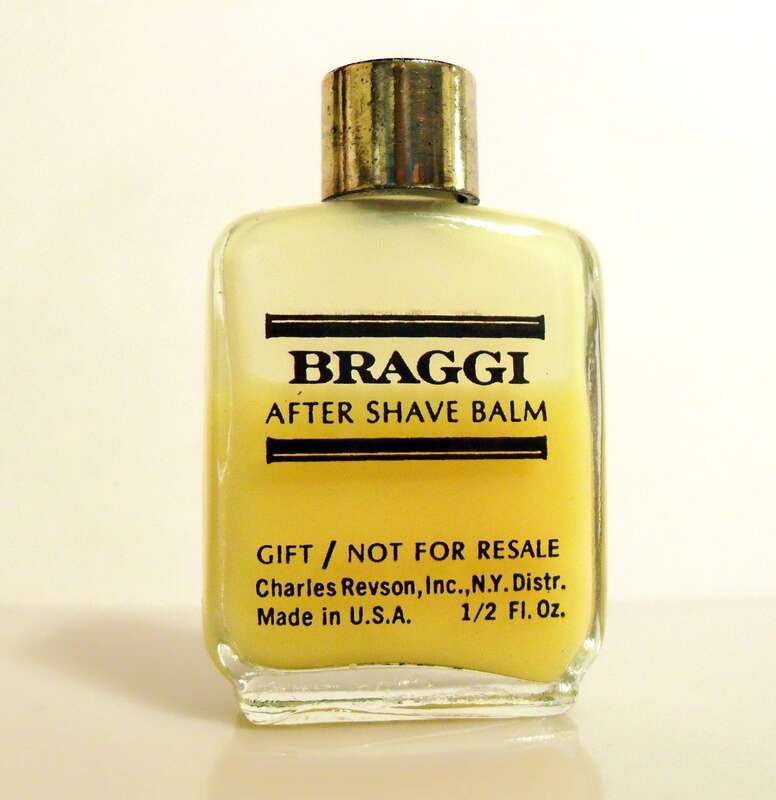 Vintage 1970s Braggi by Charles Revson Revlon 0.5 oz After Shave Balm Mini Miniature Cologne Perfume Related. The bottle is only about 75% full - see photo for the actual fill line. The conditioner is old and no longer fresh. 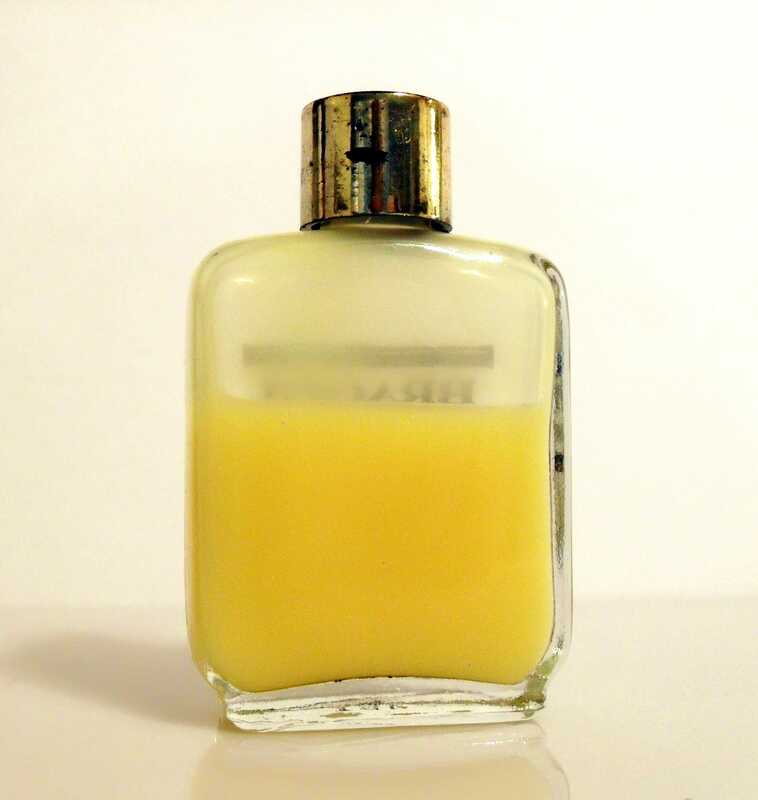 Launched in 1966, it is classified as a leather chypre fragrance for men. It smells musky, spicy and woody.